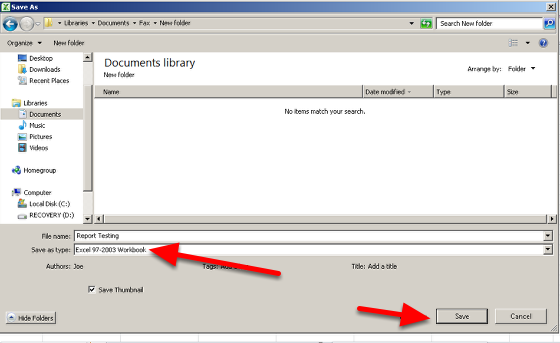 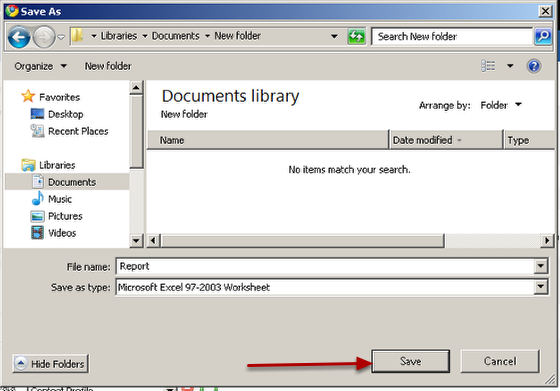 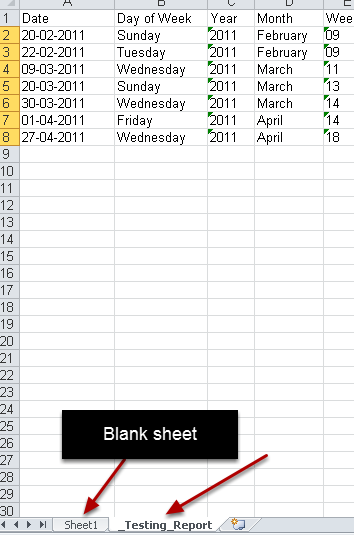 The following provides an example of setting up a basic Excel Spreadsheet for a group of athletes using excel 2010. 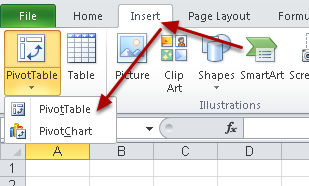 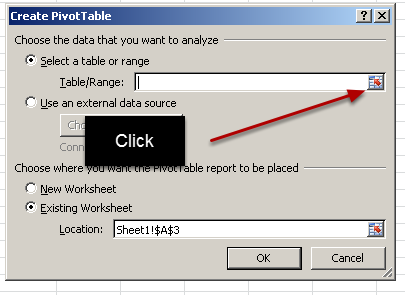 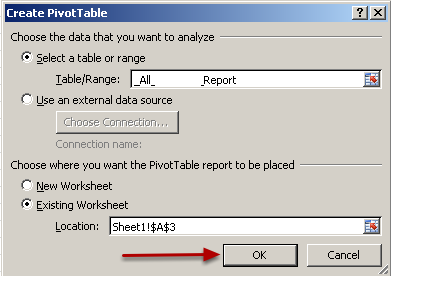 To Add in a pivot table, click on Insert and select "Pivot Table"
You MUST right click on the pivot table and select Refresh on Opening (then save this setting) for the pivot table, or the data will not refresh when you open it. 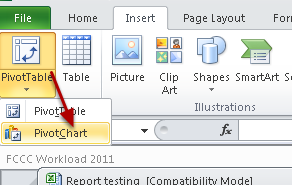 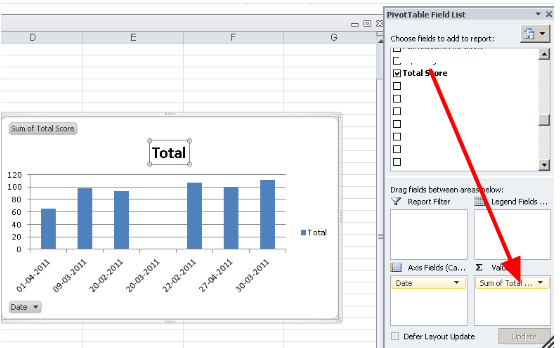 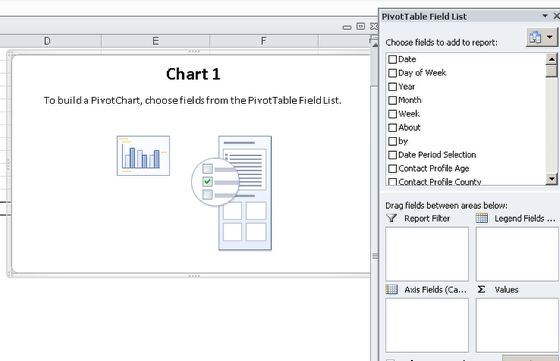 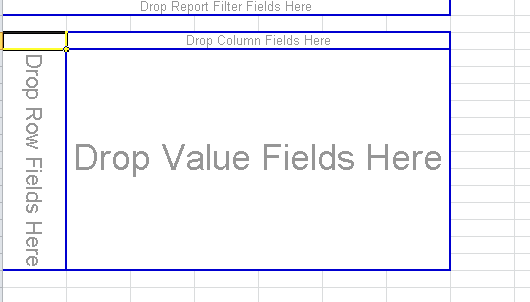 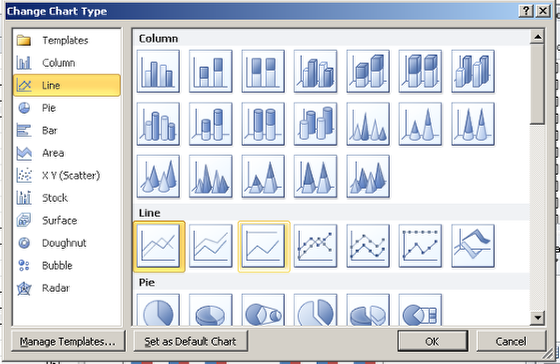 To Add a pivot chart, select "pivot chart"
Drag in other variables, and change the chart type by right clicking on the chart area and selecting "Change Chart Type"
You will get confirmation that the report was saved. 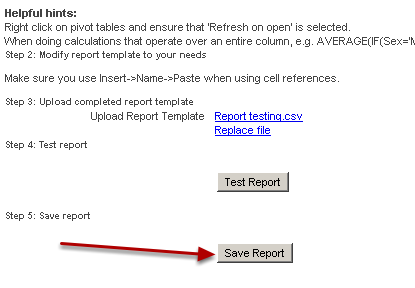 The report template will be saved. 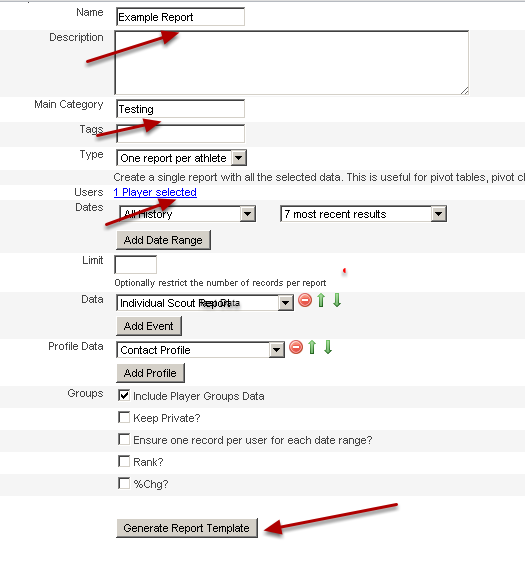 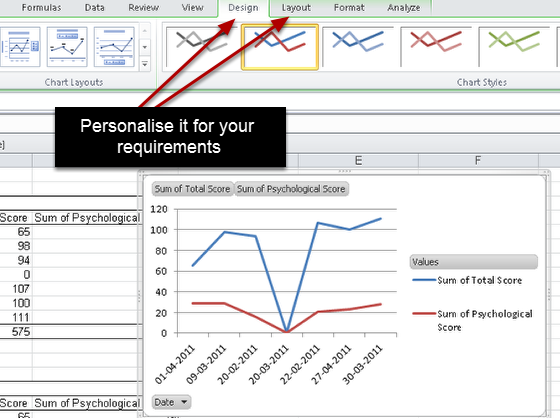 In this example, we created a template to have one report per athlete. 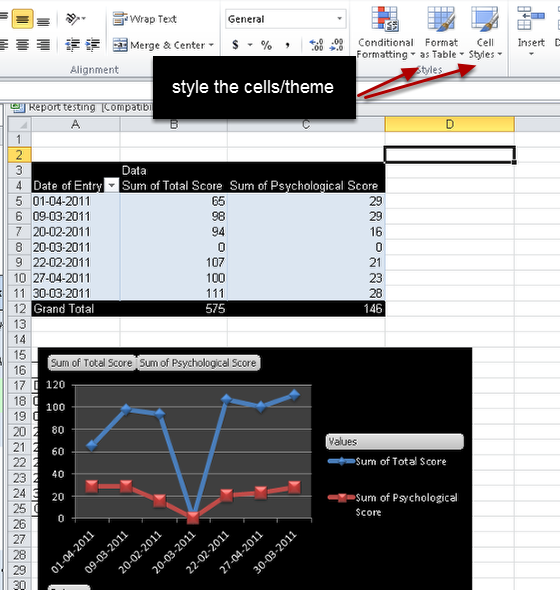 When we run this report for multiple athletes, a separate excel file will be created for each athlete as part of a zip file. 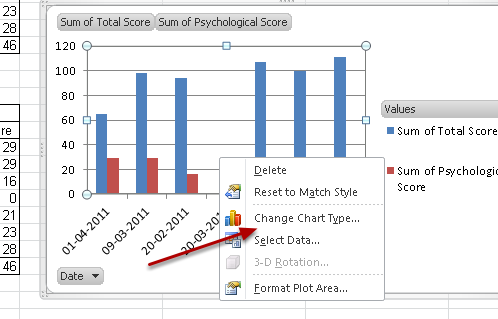 For two athletes, two separate reports are generated.